Heads up Rite Aid shoppers! Nestle Girl Scout Crunch Bars are on sale 2 for $1 at Rite Aid plus there is a .50/2 Smart Source coupon and a $1 off Rite Aid coupon. 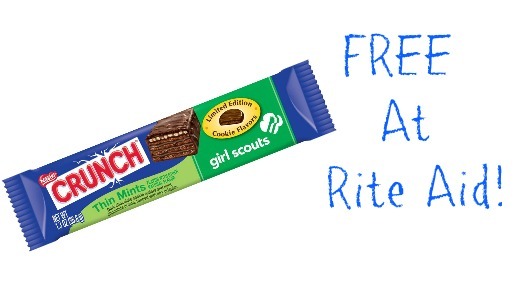 Combine these deals to get Nestle Girl Scout Crunch bars for FREE after sale and coupons! Also, make sure to head to the Rite Aid Facebook page to “like” them and click “Exclusive Deals.” Here you will find exclusive store coupons that do have limited availability so you will want to get them soon! These coupons expire 9/6 so print them and consider using them starting 8/31 for some great deals.